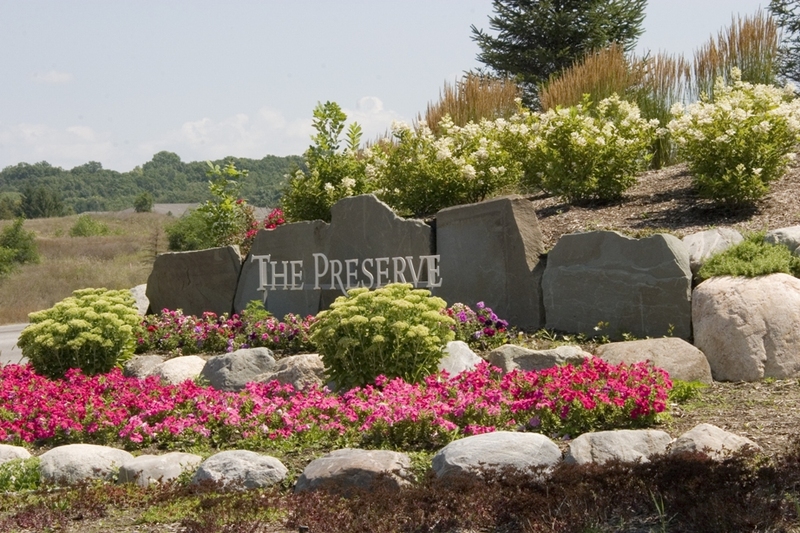 The Preserve is a condominium community located on Cannonsburg Rd just east of Northland Dr. The intent of this design was to tie in the new landscape with the natural beauty of the area. 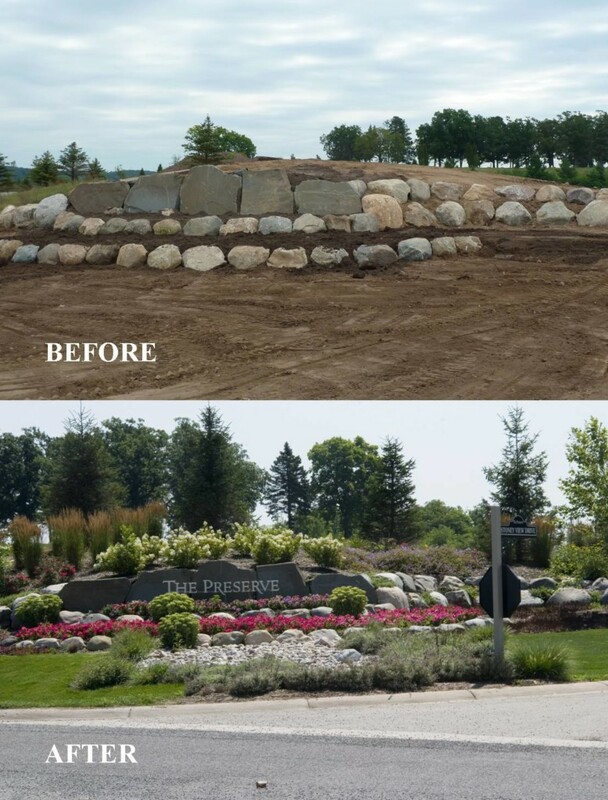 The before picture shows the area just after the boulders were placed and before the plants were installed. The boulders give the berms elevation and structure and also add texture and contrast to the landscape. 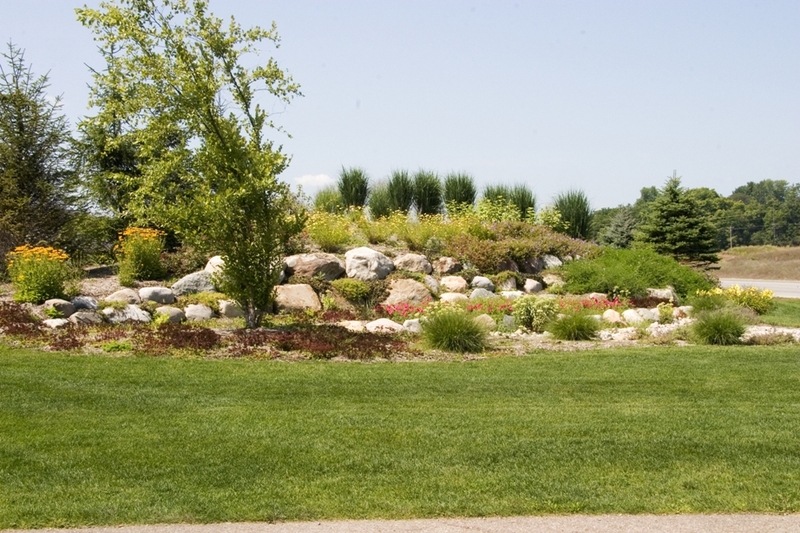 The perennials and grasses give the landscape a natural and polished look while the annuals add color and impact.